Working in respectful partnership with our parents and carers is very important to us. 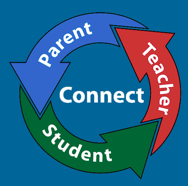 The purpose of the Home-School Agreement is to strengthen that partnership between parents/carers and each individual school to maximise your child’s learning and happiness. The Mayflower Specialist School Academy Trust is committed to creating the right educational environment for all our learners, which allows them to develop in the way and at a pace appropriate to their individual needs. As a values-led learning environment, we will provide a framework within which a strong home-school partnership can be fostered, encouraging children to feel valued, happy and successful. Please click on the links below to view our Home School Agreement.